On Wednesday night, February 27, I attended a master class in performance and story telling when I saw the final night of Charles Busch’s newest cabaret show Native New Yorker at Feinstein’s/54 Below. In this show, Charles took the audience on a journey through his rise in the theatre world until he found his mark. From his childhood imagination to starting a theatre company in Chicago to stripping in Pittsburgh & Washington DC to making his way back to New York City where he found his home at the Limbo Lounge, Charles revealed it all. My favorite parallel stories that Charles told was how his kind of theatre was not favorable in Chicago, but in NYC, it was welcomed, in fact, it was revered. In between stories, Charles delighted us with music from a wide variety of genres, while the hunky Tom Judson tickled the ivory. My favorite songs were his mash-up of “Rainbow High (Evita)/I’m the Greatest Star (Funny Girl),” “Widescreen” by Rupert Holmes, “Native New Yorker” by Sandy Linzer & Denny Randell and “I Got a Name” by Charles Fox & Norman Gimbel. I felt these songs really highlighted the stories Charles was telling just before he sang them. But the best part of the evening was the education Charles gave us in how to tell a compelling story. Most cabaret shows have a little banter in between songs. In tonight’s show, there were a few songs in between A LOT of stories. But when Charles speaks, everyone listens because Charles has a very distinct way of engaging people in his stories. His tales are always honest and raw filled with humor and heart. Charles knows how to engage an audience. At this show, I kept thinking I was in Charles Busch’s living room listening to him tell these stories. 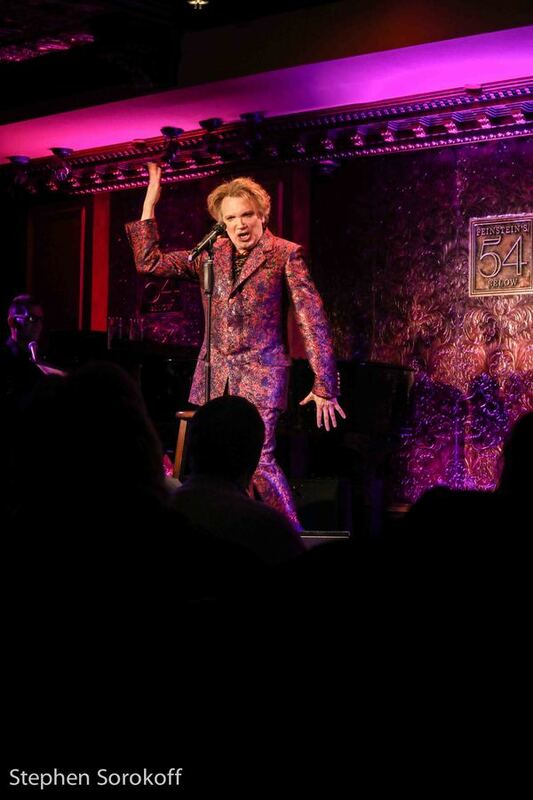 I had to keep reminding myself I was at Feinstein’s/54 Below. From Native New Yorker, I truly felt like I got to know the man behind the dress. While this was Charles’ final night at Feinstein’s/54 Below, Charles & Tom are taking this show on the road to the West Coast! So, if you are in town while they are there, I highly recommend you go see this show. That’s Adam’s Call and I Stand for Entertainment! Feb 13 Adam's Call: The New York Pops: "Unforgettable: Celebrating Nat King Cole and Friends"